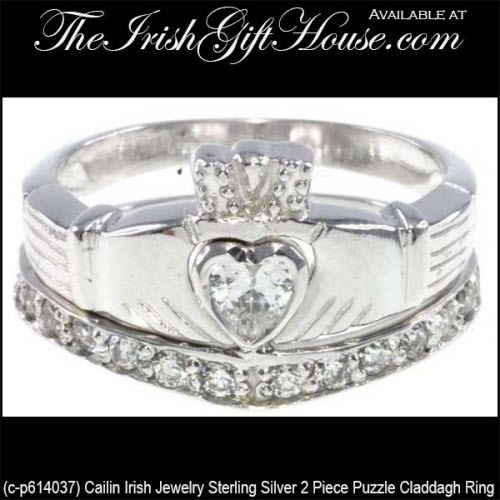 This sterling silver Claddagh ring is also a 2 piece puzzle ring and it features a CZ heart along with white CZ stones around the front half of the band. When solved, the design measures 1/2" tall in the front. 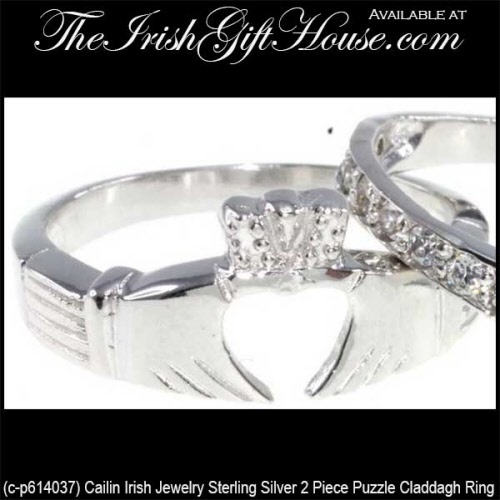 This piece of sterling silver jewelry is gift boxed with the Galway Folklore that explains how to correctly wear the Irish ring along with Claddagh legend card that is complements of The Irish Gift House. 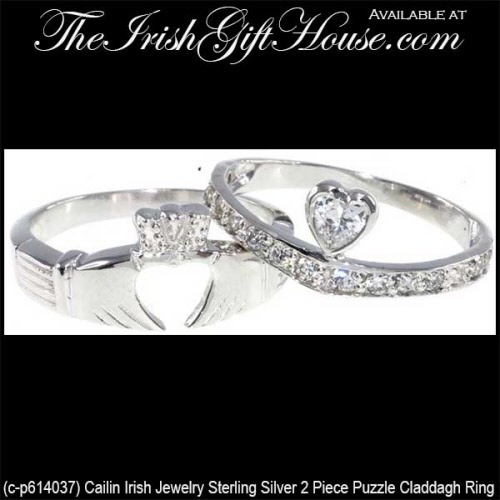 The Claddagh puzzle ring is made by Cailin Jewelry in Co. Kildare, Ireland.